REDONDO BEACH, Calif., Feb. 23, 2012 -- Northrop Grumman Corporation (NYSE:NOC) observed National Engineers Week Feb. 19 to 25 with school visits, job shadowing and innovation challenges. The company also honored employee teams and individuals selected to receive awards for their accomplishments by the Engineers Council. National Engineers Week is dedicated to ensuring a diverse and well-educated future engineering workforce by increasing understanding of and interest in engineering and technology careers among young students. Engineers Week raises public understanding and appreciation of engineers' contributions to society. 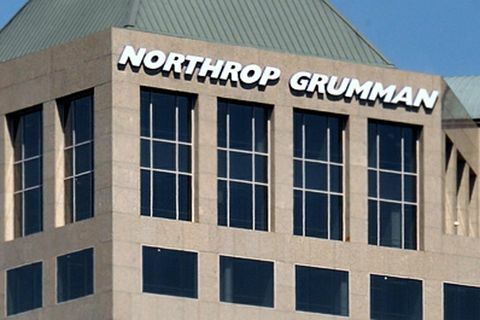 "Encouraging interest in science, technology, engineering and mathematics education in high school and middle school students is one of the most important roles for our experienced engineers and scientists," said Gene Fraser, sector vice president of aerospace engineering for Northrop Grumman Aerospace Systems. "Engineers Week is a time when we celebrate the profession of engineering and the accomplishments of our aerospace engineers and bring that enthusiasm out into the community." Throughout National Engineers Week, events were held at Northrop Grumman's Aerospace Systems sites in Bethpage, N.Y., and Melbourne, Fla., as well as El Segundo, Palmdale, San Diego and Redondo Beach, Calif. The week-long celebration was dedicated to recognizing and raising awareness of engineering contributions that benefit the company, the nation and the world of engineering. Cangineering Design Challenge — Employees built animal-themed sculptures from 75 percent recyclable, empty cans and bottles. Sculptures went on display in El Segundo, Calif., on Feb. 20, and awards will be distributed on Feb. 24. Distinguished Technical Leadership Knowledge Sharing Event (Feb. 20) — Employees met technical and engineer fellows at events in Bethpage, Melbourne and Redondo Beach. Shadow an Engineer (Feb. 21) — University students in Bethpage, Melbourne and Southern California followed an engineer mentor to see first-hand what it is like to work in an aerospace company. Egg Drop Demonstration (Feb. 21) — Employees in El Segundo and St. Augustine, Fla., competed to build the lightest, most secure egg-carrying devices to prevent eggs from breaking when dropped from a height of four stories. Build a Bridge Competition (Feb. 22) — Employee teams across the country constructed bridges out of provided supplies and the bridge that supported the greatest load was the winner. Leaning Tower of Pasta Competition (Feb. 23) — Employee teams across the country competed to design and build the tallest structure composed entirely of uncooked pasta. The top of the final structure had to support an egg. High School Innovation Challenge (Feb. 24) — High school students will participate in an Innovation Challenge in Redondo Beach to design, build and test a solar shade inspired by the sunshield on the James Webb Space Telescope. The team to shade the largest area wins. "These various Engineers Week activities are part of our larger efforts to promote STEM education in our classrooms, and help America sustain its leadership position in an increasingly competitive world," said Fraser. This year, the Engineers Council — founded in 1955 through a joint effort by the California Society of Professional Engineers, the American Institute of Plant Engineers, the Society of Manufacturing Engineers and the Institute of Electrical and Electronics Engineers — will recognize the contributions of 86 Northrop Grumman engineers at a ceremony at the Sheraton Universal Hotel in Universal City, Calif., on Feb. 25.